Kris Bernal remains a Kapuso; will be paired with Rafael Rosell for remake of Impostora. 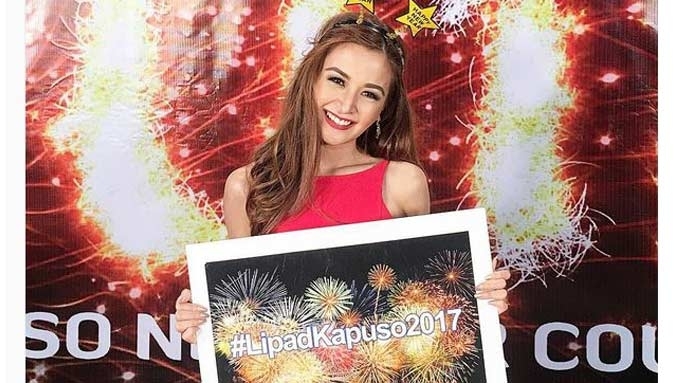 Kris Bernal will still remain a Kapuso! This was revealed through a plug of GMA-7's shows for 2017. Kris will be the leading lady of Rafael Rosell in the remake of the Kapuso teleserye Impostora. In her Instagram account, Kris affirmed her decision to remain a Kapuso by being with the TV network where her heart "truly belongs." It will be recalled that there were rumors about her transferring to ABS-CBN. "My 2016 was a tumultuous one with plenty of unexpected results. I am starting off stronger! I know I am starting off on the right foot! Starting my year right to where my heart truly belongs! Looking forward to 2017 with more opportunities and endless possibilities! Let's dooo this! I'm more than ready! Happy New Year my sweethearts! Sending you all goodvibes!!! #LipadKapuso2017"
Impostora, a primetime series that aired in 2007, revolved around conjoined twins played by Sunshine Dizon and Iza Calzado. The two actresses played dual characters in this soap opera that also starred Luis Alandy and Mark Anthony Fernandez. Iza played the role of twins—the beautiful but vindictive Lara Carreon as well as the ugly and weak-willed Sara Carreon. Sunshine was cast as the twins’ wicked cousin Nessa Cayetano and also the character of Sara Carreon.